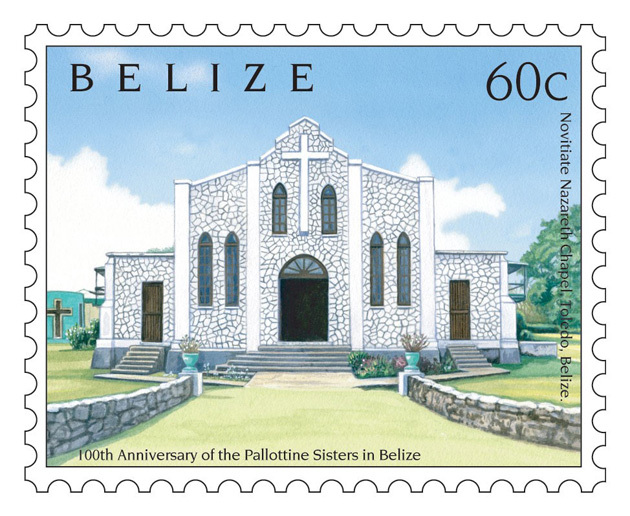 - Press Release, Belize Post Office - The Belize Postal Service is pleased to announce the release of a new set of commemorative postage stamps. 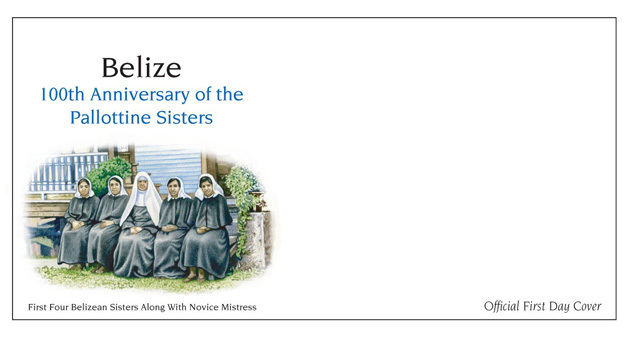 The new set of postage stamps was officially released on Wednesday, October 9, 2013, in commemoration of the 100th anniversary of the Pallottine Sisters in Belize. 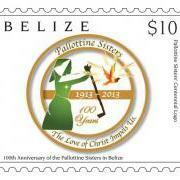 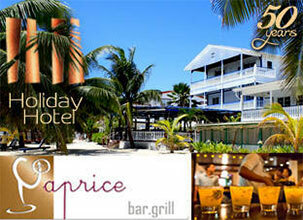 The release of the stamps forms a part of the Pallottine Sisters’ Centennial Celebrations of their arrival to the shores of Belize. 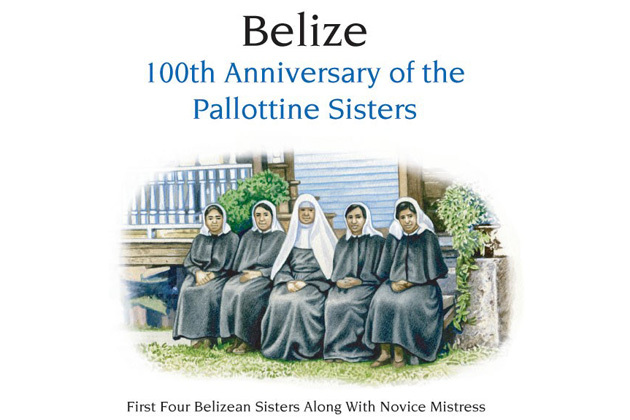 On March 17, 1913, four German Pallottine Sisters challenged the boat ride from Belize City to San Ignacio where they landed on the banks of the Macal River. 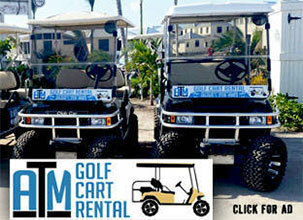 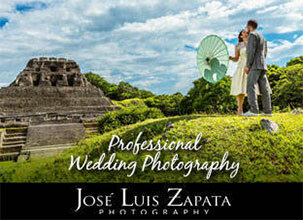 Their journey continued to Benque Viejo by horse and buggy, the only means of transportation in 1913. 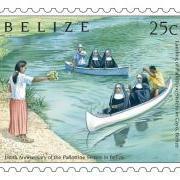 In Benque Viejo, the Pallottines planted the first seeds of evangelization, education, nursing, gardening and home skills. 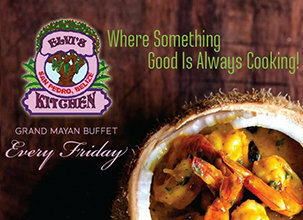 From these early seeds flourished 100 years of ministry to the country of Belize spanning the districts of Corozal, Orange Walk, Cayo, Belize and Toledo. 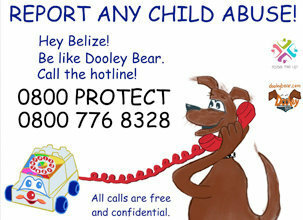 At its peak, 102 Belizean young girls answered the call and served in one or more of the 19 schools or hospitals staffed by the Pallottines. 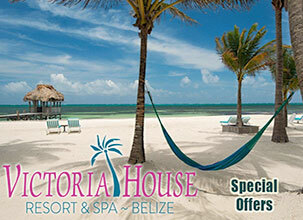 The stamp issue is comprised of a set of three beautiful and historic stamps, in the values of $0.25, $0.60 and $10.00, along with a First Day Cover valued at $12.85. 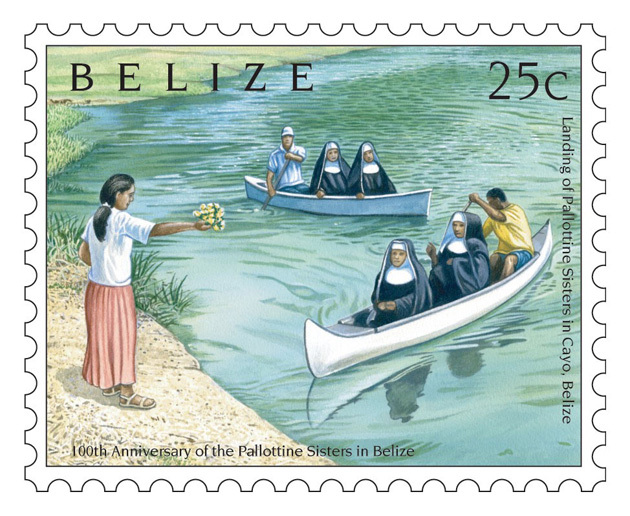 The $0.25 stamp depicts the historical landing of the Pallottine Sisters at the banks of the Macal River in San Ignacio, Cayo. 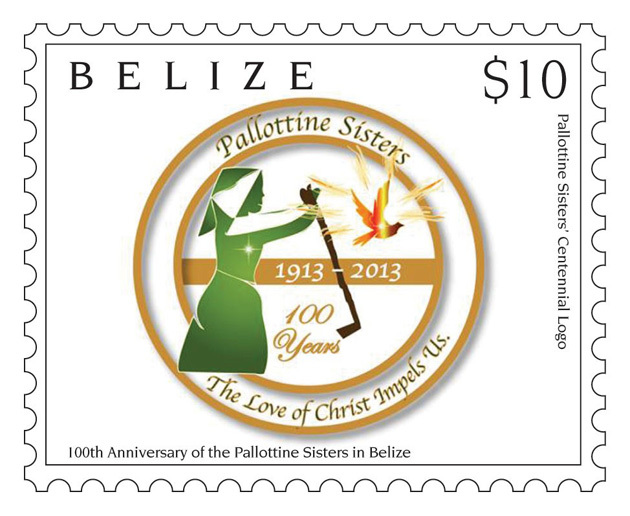 The $0.60 stamp depicts the Novitiate Nazareth Chapel in Toledo, while the $10.00 stamp depicts the Pallottine Sisters Centennial Logo. 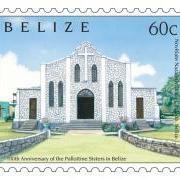 The stamps and First Day Covers will be on sale on all Post Office counters as of October 9, 2013.